Want to get married on one of New Jersey’s most popular shores, but don’t feel like bothering with all the fuss of a beach wedding? You can still have the authentic Jersey shore vibe at your wedding reception and ceremony without actually tying the knot at the beach. To be quite honest, beach-themed weddings are very popular for couples who are getting married in the spring and summer. 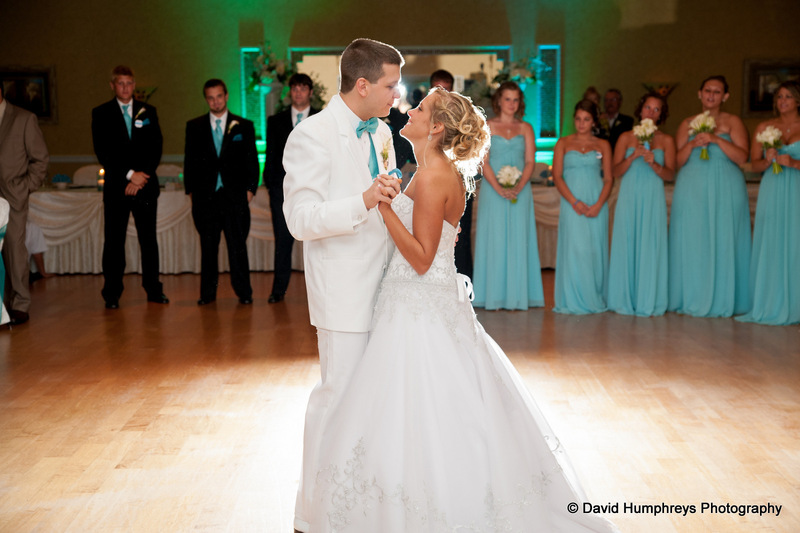 If you think this might be ideal for your upcoming nuptials, check out some of these photos for inspiration from couples who were married at Atlantis Ballroom and other wedding venues in New Jersey. Your guests get the best idea of what the theme of your wedding is from the invitations, so feel free to get really creative here. 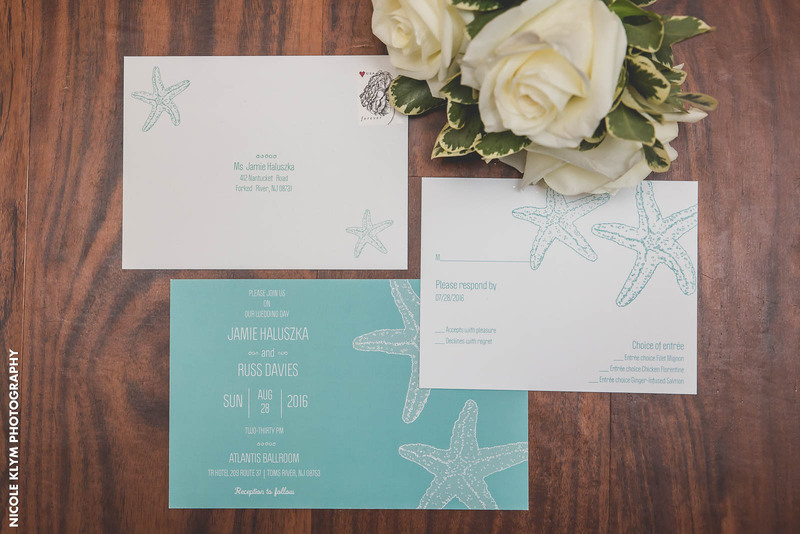 You can design wedding invitations that will give them Jersey shore vibes the moment they open them. Using images of the beach, sand, seashells, seahorses, and more are cool ways to send the message. Want to feel like you’re getting married on the beach without actually being there, the bridal party can help with that. 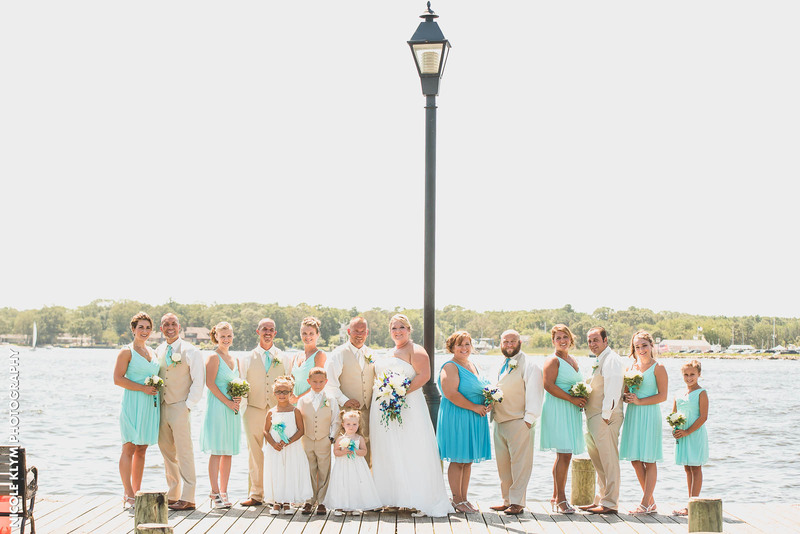 Selecting wedding party colors reminiscent of the green-blue ocean and tan sands are a nice way to add to the theme. As you can see, this couple gave off the sandy beach and ocean feel with varying hues of green and blue for the ladies and tan suits for the gentlemen. 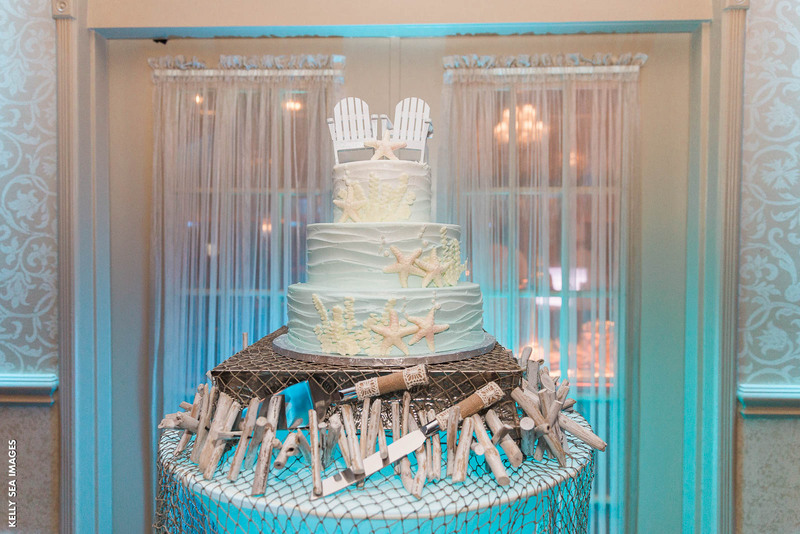 At the wedding reception hall in New Jersey, one of the main attractions is the cake. It is one of the first things your guests will see when they walk in, so why not make it an intricate part of your beach-themed day? 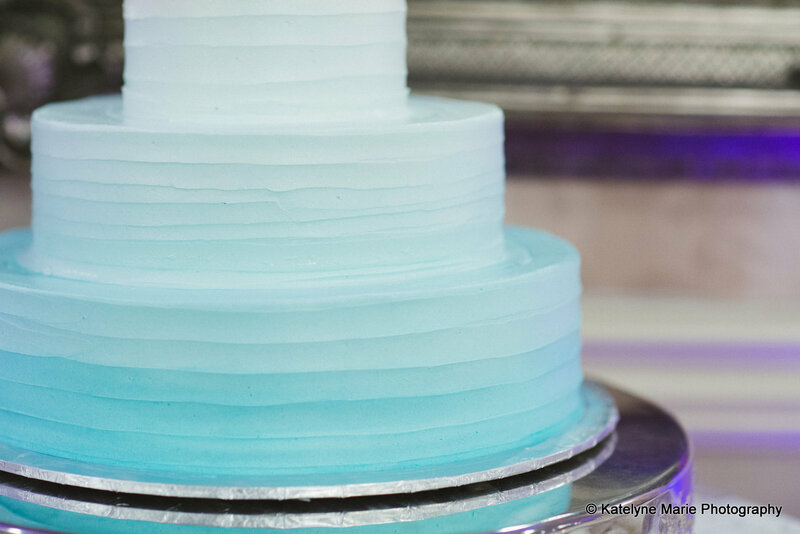 These wedding cakes both give you the Jersey shore vibe with hues of blue, seashells, and other features that remind you of a day at the beach. Planning a beach wedding often requires a lot. From getting permits and having chairs delivered, to getting permission from the proper channels, and hoping for perfect weather, there’s a lot to take on. If you’re going for an authentic Jersey shore vibe without the complexities, consider having a beach-themed wedding instead. By adding details to the invitations, decor, bridal party, and cake, you’re sure to pull it off without a hitch.